Search result for " alusplash"
AluSplash offers a range of eco-friendly, sleek and affordable splashbacks. It is an innovative alternative to glass, acrylic and tiled splashbacks that have been designed to provide a seamless run of colour in the kitchen with an eye-catching high-gloss finish. 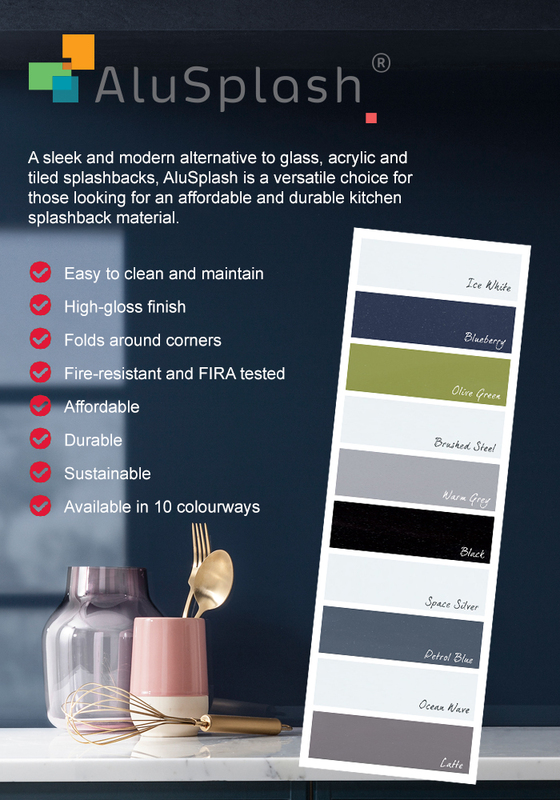 We are proud to partner with AluSplash as the exclusive distributors of these innovative splashbacks in the UK market. AluSplash is FIRA tested, so safe to use behind all cooktops, including gas burners. Not only is it exceptionally durable, it is also easy to clean; the coated surface has been carefully formulated to prevent mould and bacterial growth, making it a hygienic solution for busy residential kitchens. Available in a wide variety of colours, you can definitely spoil your customer for choice. AluSplash boasts a hassle-free installation process, saving you time and labour costs. At Häfele, we also offer a separate installation kit, which includes everything you need to install AluSplash, using a standard kitchen fitter's toolkit.